This is called Blue-headed Fantail in the Kennedy guide. This is a Philippine endemic. We saw it on Mt. Kanlaon and in the Twin Lakes in Negros. It was always part of a mixed flock. It seemed like it was the head of the directing operations. 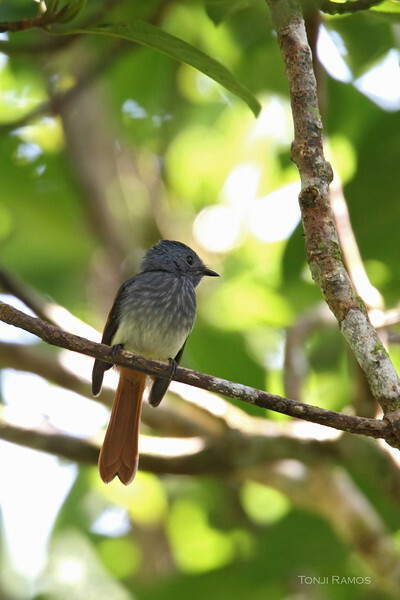 This species used to be a race of the Blue-headed Fantail and has recently been split.